The sun was rising as I slid into Dan’s waiting car. “Good morning” I bid him and off to the office we sped. Dan’s eyes were focused on the intersection ahead as he posed common courtesy questions. After getting through our health and well being replies, I asked “All set for Easter?” as it was only three days away. Quietly I listened. Also schooled as a scientist, I knew I too had mocked this same way years ago. But something about my grandfather had touched me deeply. He was a 33° Mason and, at one point, head of all its lodges in Ohio. I never joined the Masons but my curiosity in esoteric Christianity was ignited by him. It was a hidden flame that grew stronger over my adult years. The radio droned on about why the local team had made a mistake in trading one of their stars as I recalled how, when my youngest child entered school, I had studied, during this newly offered spare time, those ancient mysteries. My recollection drifted to Isis’s statement “no mortal may lift my veil!” Of course, I had realized back then, no mortal! But, what happens when we become immortal? Does one lift her veil after initiation? My recollection flowed on to recall my excitement when I realized a couple years later that this Temple Veil was indeed the Veil of Isis, of Sophia, woven by Lucifer to hide the spiritual world from all save the temple priests. And as Christ died, the tearing of this veil for all of humanity opened the Mysteries for all of humanity. It was foretold at the baptism when the veil of the heavens opened and in the form of a white dove the spirit of Christ had descended and remained upon the one called Jesus of Nazareth. 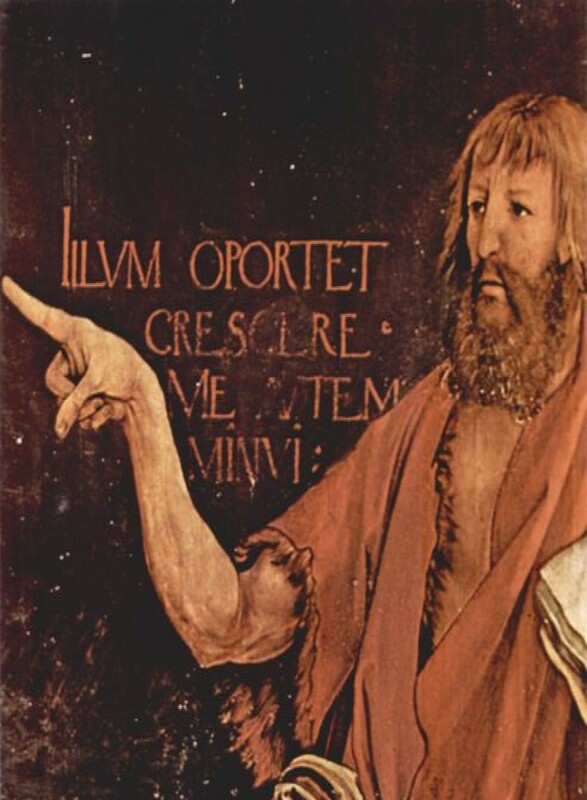 There on the Jordan, it was John, the reincarnated Elijah, who witnessed from the earth this opening of the veil. 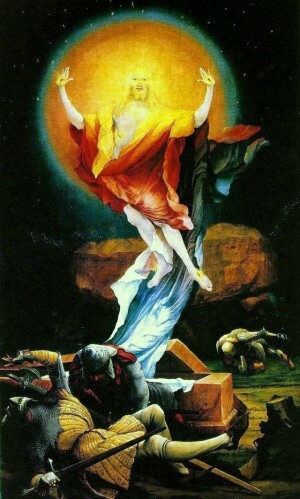 On Golgotha, John, in a different form, again was present. Instinctively the crowd knew that Elijah was there. But as Grunewald wrote on his masterpiece, “He must increase and I must decrease.” Yes, that time for the new mysteries had come. For three years the god Christ had been incarnating into this physical vehicle until accomplished for his triumphant entry to the holy city of the human body while riding humbly on a donkey. Easter was THE important Christian festival. 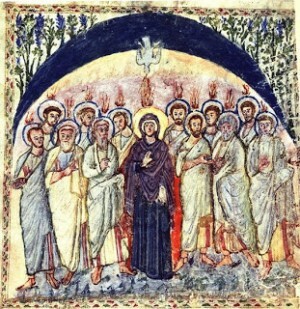 St. Paul said, “If Christ be not risen, then is your faith vain.” A key purpose to the Council of Nicaea was to set the date of Easter (as calendars in those days had insufficient leap years to prevent the spring equinox from sliding in March towards February). The festival of the birth of Jesus was not at all celebrated. Christians felt that Jesus (both of Matthew’s gospel and of Luke’s) was born as a man and Christ entered this body at the baptism. As full of mystery as birth and baptism may be, for early Christians the important new mystery was what happened from Golgotha to the grave to the resurrection. With the early Christians, we do not find symbols of the suffering of Christ; rather we find their focus is on the resurrection. Photius, who is revered as a saint in the Eastern Church but despised in the West, had argued that Aristotle indicated that each person has two aspects to their soul, one aspect focuses on the senses of the physical body and is thereby liable to error while another aspect focuses on the spiritual and is thus immune to error. With this decree, however, the human was reduced; no longer body, soul, and spirit, but now only body and (one) soul. One could be excommunicated from Christ’s Church for stating anything differently. When Christianity reaches the twentieth century, few theologians use or understand the term ‘soul’ anymore. Materialism reigns supreme. Following this Ecumenical Council, the Eucharist was altered. Only the ‘prepared’ priests could receive the wine while all received just the body, the bread. For the congregation, this meant only the body matters. The troubadours then come to this drama to sing about the search for the Holy Grail. Where has the blood of Christ gone? Spirit triumphant over death, over the physical fades away replaced by portrayals the pain-racked soul of Jesus. Who guards and sustains mankind? Replacing the Triumphant Son of Man is the Man of Sorrows. The Knights Templars dash onto this scene two hundred years later. 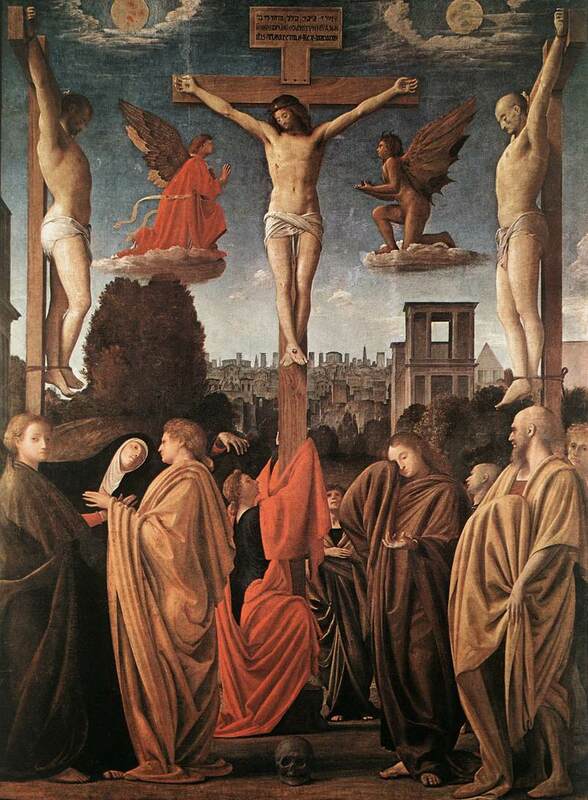 In their initiation ceremony, one was led to understand why they rejected the crucifix as a symbol of their Christianity. Supposedly, during the initiation process, the elect was to spit on a cross that had an image of the suffering savior. Western culture where materialism is most deeply rooted must find a renewal of the Easter experience. The renewed Easter thought should lead one to be lifted into the Spirit. Christ then becomes ‘visible’ as a super-sensible, super-earthly Being who entered into the stream of earthly evolution. At the tomb that is the body, do we see only the stone? When we enter the tomb (Oh Man, Know Thou Thyself — Delphi) can we see the Kingdom within? Will we find “The One you seek is not here” or will we find “The One Who is here now,” the one Who from the spirit calls you to your spirit-awakening. “In this Easter mood we shall also be able to find the strength with which our will must be imbued if the forces of decline are to be countered by those which lead humanity upwards. We need the forces that can bring about this ascent. And the moment we truly understand the Easter thought of Resurrection, this Easter thought — bringing warmth and illumination — will kindle within us the forces needed for the future evolution of mankind. Easter must become an inner festival, a festival in which we celebrate in ourselves the victory of the Spirit over the body. But we need the Christ for Whom we can seek in our inmost being, because when we truly seek Him, He at once appears.” — Rudolf Steiner,The Festivals and Their Meaning II, Lecture 4, March 27, 1921.